The Dress Casual Day was held on 19 October 2018 for raising money for Our Lady of Maryknoll Hospital. We were glad to announce that $15568.30 was raised by students and staff. 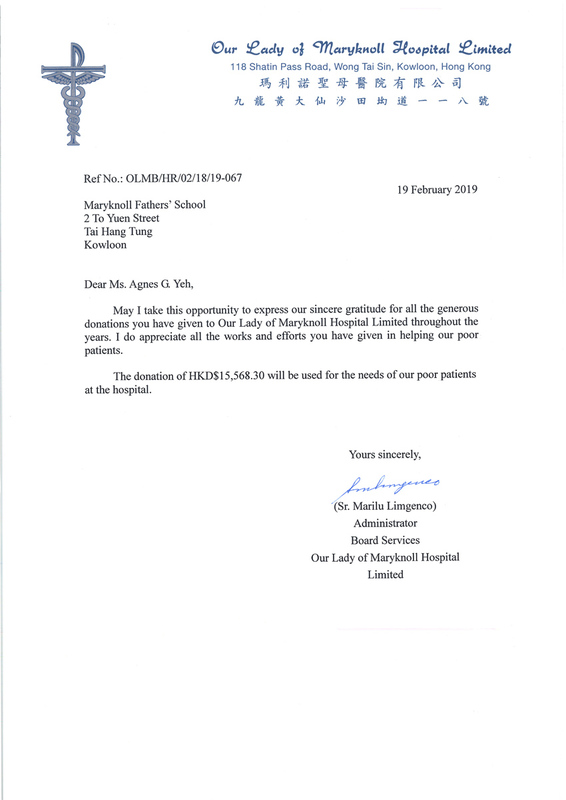 Thank you very much for your generosity and God bless.